Crates need to be ‘just so’. Too small and pets can feel cramped, too big and they feel insecure. Neither will do and often for the more expensive price of buying a standard sized plastic crate, you can get the very best in pet travel for your pet at what often works out to be a better price. A few inches longer than is needed – not only means your pet is not going to feel as snug and safe as it could, but could potentially cost you a couple of hundred pounds extra. The airway bill (ticket) is the cost of flying your pet and is directly correlated to the size of the airline kennel. Size really does matter. In a Elon’s kennel your furbaby will be safe and comfortable. 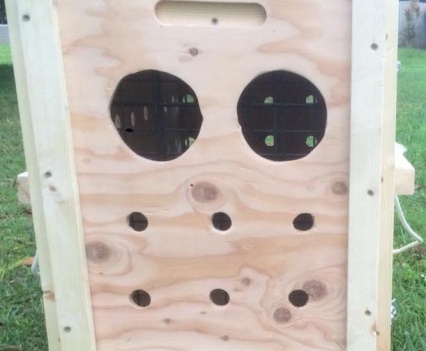 We require 10-15 business days excluding Sunday and holidays to construct your wooden kennel. 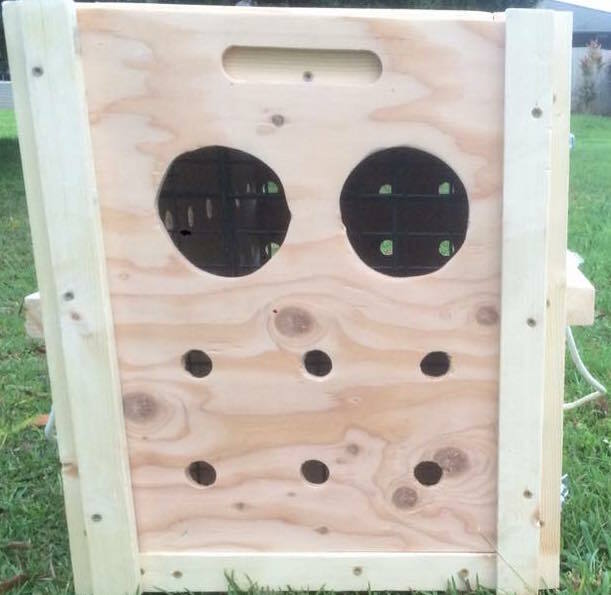 If you have an urgent departure and you must leave in a rush, we can construct your crate sooner for your dog’s specific dimensions but there would be an additional fee for constructing your crate outside our business hours. *If you have your kennel shipped it will take 2-5 business for shipping. The majority of the wood we use to build our airline kennels is Solid woods. The other portion of our crates is plywood. What sets us apart is that we use only “formaldehyde free” plywood. Our plywood is compliant with the U.S. Green Building Council’s Leadership in Energy and Environmental Design (LEED) standards.Dog houses should be made of solid wood. Plywood and pressed wood products should be avoided,unless they are formaldehyde free or painted on both sides. Your dog’s health and safety is our number one concern. We work closely with Delta, United,Alaska and many more. We are in constant contact with our local cargo managers, the loading and cargo staff. We don’t have standard prices. 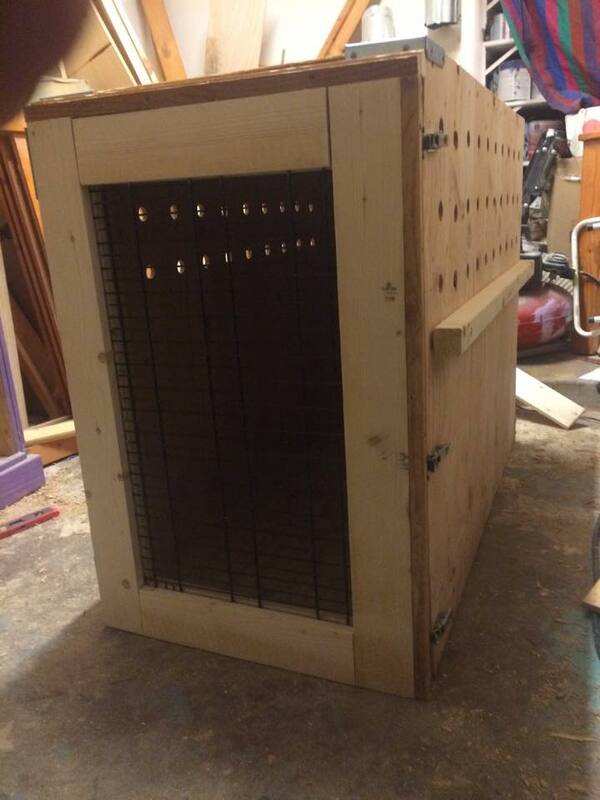 Our kennels are custom made to your dog’s measurements. This saves you money on the kennel and the air bill (ticket). Why buy an oversized kennel when your dog is between sizes? Do you deliver the kennels to the airport? Can my pet have anything in the crate. At present, TSA regulations allow your pet to have one familiar object ( t-shirt or towel) to accompany your pet along with food and water dishes. Do you do kennels extenders? Yes, but we suggest that you take in consideration the cost of extenders and the plastic crate. 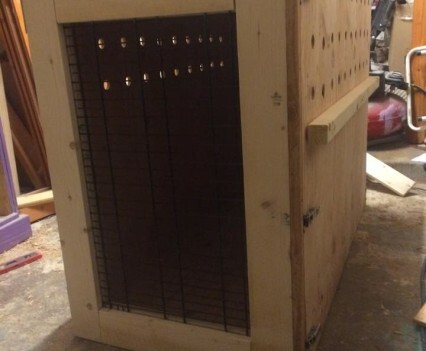 Having a custom kennel built could more cost effective and save you almost hundreds. Are all wooden kennels reinforced kennels? Yes we absolutely do. All our kennels are shipped through UPS. We only ship our breakdown kennels. Shipping takes 2-5 business days. Yes we ship our kennels. Only the breakdown kennels are shipped. Dont worry you can have you end table kennel shipped as a breakdown kennel. Shipping is takes 2-5 business days. Disclaimer- Elon’s is not responsible for any damage caused by your dog. You must notify us immediately if your dog has a condition that will keep it from being allowed to fly.